I go above and beyond, and provide excellent customer service. You are in good hands with me, most of my work is by referral and from repeat clients located in Santa Monica and the surrounding Los Angeles area. 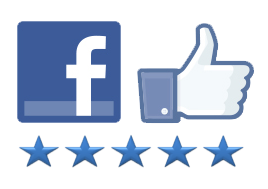 Don’t take my word for it, please click the links to read my reviews for yourself. I’ve been working with Michelle for nearly 2 years, nothing but good things to say, she goes above and beyond with everything. We do a lot of sales on our site and we always need new content, pics, videos, blogs etc uploaded, with lots of changes. She always does it fast and better than we ask!! AUGUST 2018 – My old website was beginning to show its age and was in need of an overhaul. I trolled around on Yelp and called several companies to get some idea of the cost for starting a new site from scratch. Most of them didn’t even bother to return my calls and the ones that did seemed to have little time or interest in my needs. plus they were way beyond my budget. Then I came across Michelle. Wow, what a breath of fresh air. She returned my call almost immediately, took the time to listen to my questions and patiently explained to me what she thought would be the best options for me and my tea party business. It also helped that we’re both Brits, so she understood my vision. We met in person for at least 2 hours and she walked me through the entire process of creating a new site. I have to admit I’m a bit clueless when it comes to all the technical babble like SEO, key words, links etc, but I’ve learned an awful lot thanks to Michelle and now feel much more confident in managing my social media and promoting my business on line. Michelle was always available to answer any questions I had, either by text or phone and she implemented any changes I made to the emerging web site in a timely fashion. I really felt like we were a team and that she cared about my business. I’m absolutely thrilled with my new website. 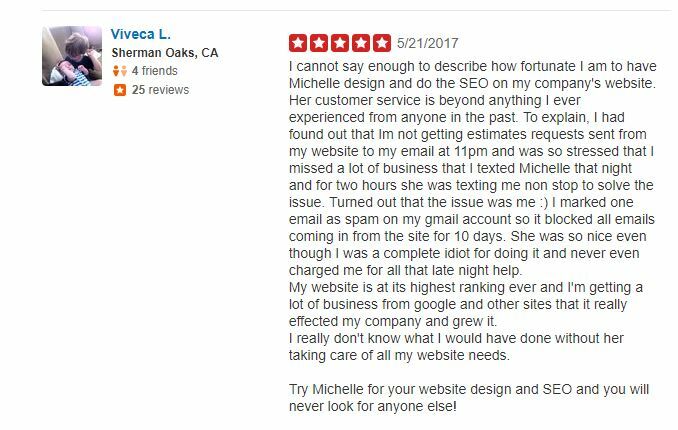 Thank you Michelle, it was such a pleasure to work with you. Jane W.
YELP REVIEW DECEMBER 2017 – I am so happy that I chose to work with I Ain’t Your Momma Web Design!!! Of all the designers I searched, three companies had websites and portfolios that really stood out, both visually and functionally, and of those three only two specialized in the sort of site I was looking to build. After speaking with I Ain’t Your Momma and the other designer, it became clear that Michelle was far and away better suited to do the work I needed, largely because she has years and years of SEO experience and was also super-friendly and accessible. There isn’t much of a point in building a website that doesn’t show up high in a Google search list and visibility is really the name of the game. And, there is no reason to work with somebody who isn’t a pleasure to interact with. Michelle’s specialty is in working with WordPress templates, which presents a minus and some big plusses. The minus is that makes her work heavily dependent on the sort of functionality currently available as a WordPress plug-in. But on the plus side, there is a whole world of WordPress plug-ins, that can deliver some amazing functions – like making social media imagery a big part of a web design or presenting eye-catching slideshows. An even bigger plus is that because the site exists in a format that doesn’t necessitate deep coding knowledge to manipulate, I now can alter the content on my site myself, at will, without having to contact Michelle in order to do so – which is a big, big deal. That means that I can make seasonal changes or even daily alterations without coordinating or scheduling with Michelle. Michelle dedicated a very generous amount of time toward evaluating my professional, aesthetic and functional needs. She patiently saw to it that our visions converged on a final site that delivers exactly what I was hoping for and that I’m proud to share with colleagues and clients – all for a very fair price. Finding Michelle was a true blessings in the development of my website, it was so important to me to be able to find someone who had the willingness to understand the importance of my vision and to have the patience to be able to create not only just a website, but a true reflection of the vision for my business & life purpose. Through her creative eye, compassion, expertise and simply being a great listener responding to my needs, this is exactly what she was able to provide, and l could not be more delighted with the outcome, she has been an absolute pleasure to journey with. 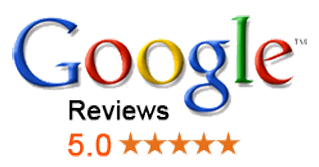 YELP REVIEW NOVEMBER 2017 – I am the Owner of a General Contracting firm and strive for excellence in everything I do, not only in work but in life. I am not easy to please and rarely satisfied with end results from both my output and my vendors. HOWEVER, the product and process that Michelle delivered, blew me away. She said when it was going to be finished and it was. She said how much it would cost and it didn’t change. She met with me once, took notes, really got to know me and what I’m looking for, ran with it and DELIVERED!!! I am so happy with what she created, that I immediately retained her services to build my wife’s company website and referred her to several other people who I knew needed her expertise. Michelle’s process, insight, thoughtful approach and delivery is second to none! I’m very lucky to have met her and suggest you do as well. Christos K.
YELP REVIEW JULY 2018 – After researching web designers on the net and talking to a few on the phone, I became so disillusioned. I had this thought of working with an independent designer and came across “I AIN’T YOUR MOMMA”. After listening to sales pitches about how everyone could save my business, I knew what I was looking for and found it with Michelle. Her knowledge about building a website exceeded my expectations. She took the time to really explain how websites work and most importantly she didn’t pressure me into signing on the dotted line. This experience was educational and the results were amazing. Michelle is thorough and honest and delivers on time and I have no doubt that she was the perfect choice to make my ergonomics business grow. If you are considering upping your game, I AIN’T YOUR MOMMA is the Name! 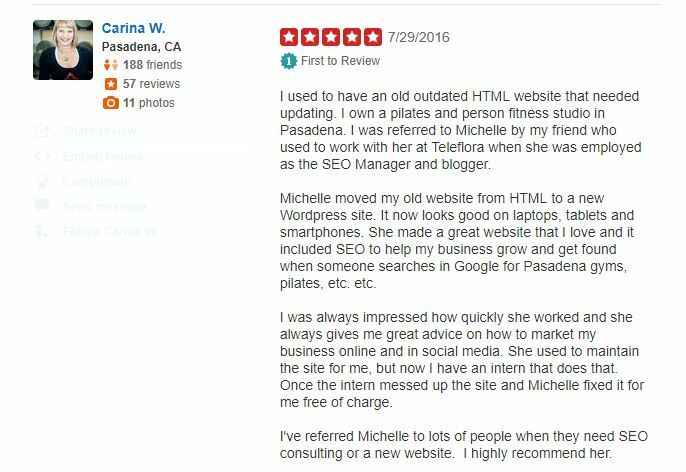 Karen L.
YELP REVIEW MAY 2018- After having 2 websites that were done by friends for free, I was ready to upgrade my website game and take the leap of hiring a professional web designer. But who?? My husband had hired Michelle to design his new website and WOW! I was sold! Michelle is super on it and had a great talent for translating my ideas into a GORGEOUS website in such a short amount of time. She didn’t mind my back and forth “can I see what this looks like before I decide” and helped me make the best decisions regarding formatting and and visuals (something I know nothing about). I really appreciated her professionalism coupled with her friendly nature. It made my experience so easy and successful and I LOOOOVE my new website! Thank you so much Michelle and I look forward to working with you again for all of my website needs. Taylor W.